The first installment of the One-derful! Collection focuses on the namesake imprint of this legendary Chicago label group -- to be followed by compilations of the Mar-V-Lus, M-Pac!, Halo, Midas, and Toddlin' Town sub-labels. It marks the first in-depth study of what was once one of Chicago's most prominent African-American run labels. One-derful! Records is available in 2xLP and CD formats, and within the grooves of these 25 tracks lie orchestrated soul classics from McKinley Mitchell and Betty Everett, raucous mid-1960s R&B dancers from the Five Du-Tones which shake every bone, superb deep soul ballads from Otis Clay, and extraordinary group harmony sides from The Sharpees and The Admirations, plus 12 tracks that have never been issued! Between 1962 and 1971, the One-derful! family of labels released 180+ 45s of stunning soul, funk, and gospel. Over two years of painstaking research and work, including countless hours spent cataloging, transferring, and mastering 250 of the label's tapes, has contributed to an amazingly extensive reissue collection. In addition, some of the world's leading experts have contributed liner notes and interviewed virtually every known surviving artist, producer, and otherwise involved party. 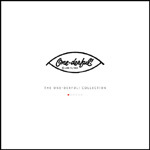 In total, the six volumes of the One-derful! Collection include 12 LPs/6 CDs with 147 tracks, 57 which were never issued, and 144 pages of liner notes stuffed full of rare and never before seen photos and memorabilia. Spanning 1962 to 1971, these compilations bring forth a wealth of overlooked and never before heard recordings and history. Open copy, played in our store. Excellent condition. Pen marks on bar code.